Irish Distillers Pernod Ricard has unveiled Midleton Dair Ghaelach, its first ever Irish whiskey to be finished in virgin Irish Oak Hogsheads. 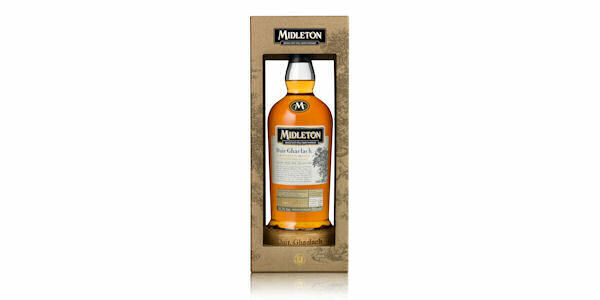 This uniquely Irish expression is the latest addition to the Midleton Single Pot Still family of whiskeys, satisfying the growing appetite among whisk(e)y lovers for discovering new and innovative styles of Single Pot Still Irish Whiskey. Midleton Dair Ghaelach, meaning ‘Irish oak’, is the result of a six-year exploration by the Midleton Masters into using native oak to mature Irish whiskey. Led by Master Blender, Billy Leighton, and Kevin O’Gorman, Master of Maturation, the project had two prerequisites. The first was to ensure that all Irish oak was sourced exclusively from sustainable Irish Oak forests that could guarantee both a long-term supply and the re-generation of native wood, while the second was to explore what new taste profiles could be created from Irish oak maturation to craft a new and outstanding Single Pot Still Irish Whiskey. To craft the oak into casks, fellow artisans at the Maderbar sawmills in Baralla, north-west Spain, used the quarter-sawing process to cut the trees into staves under the watchful eye of the Midleton Masters. The staves were then transferred to the Antonio Páez Lobato cooperage in Jerez, where after drying for fifteen month the staves were worked into 48 Irish Oak Hogshead casks and given a medium toast. At Midleton, a selection of traditional Single Pot Still Irish Whiskey distillates, matured for between 15 and 22 years in ex-Bourbon casks, were married together before being filled into the Irish oak Hogsheads. Leighton and O’Gorman nosed and tasted the whiskey each month and after almost one year, judged it to be beautifully balanced with just the perfect contribution of Irish oak. Bottled at cask strength between 58.1 and 58.5% ABV without the use of chill filtration, Midleton Dair Ghaelach is available from April 2015 in five markets, including Ireland, France and South Africa, at the recommended selling price of $250 per 70cl.